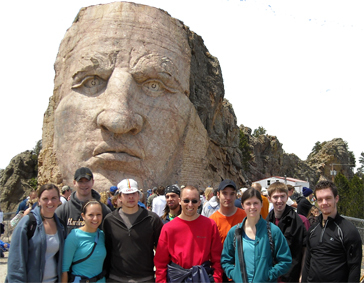 The NSF Research Experience for Undergraduates (REU) Site: Back to the Future offers a unique 10-week summer research program focused on integrated research experiences that involve Metallurgical Engineering, many with prevailing historical, social or artistic themes. Throughout the experience students will participate in a series of seminars and workshops in art, history, and archaeometallurgy that will intersect their prior academic training in Materials and Metallurgical Engineering, and provide a unique historical and cultural framework for current research. The main objective of the REU Site is to increase student appreciation of and entrance into graduate research programs. This objective will be met by increasing student abilities with those tools that make them competitive in a research environment, namely, technical communication, appreciation for diversity, understanding of historical/artistic context, and most importantly, overall research acumen. An additional objective is to increase the number of minority students involved with cutting-edge research.